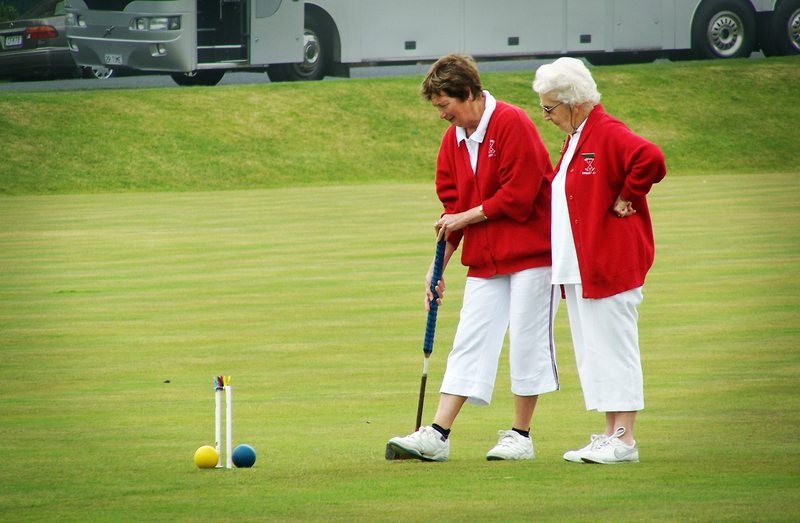 As you grow older, leading an active lifestyle is more important than ever. Regular exercise can help boost your energy, maintain your independence, and manage the symptoms of any illness or pain. 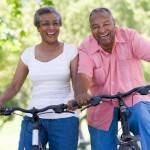 Exercise can even reverse some of the symptoms of aging. And not only is exercise good for your body—it’s also good for your mind, mood, and memory. 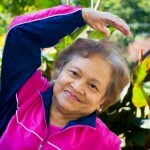 Exercise is the key to staying strong, energetic, and healthy as you get older. As metabolism naturally slows with age, maintaining a healthy weight is a challenge. 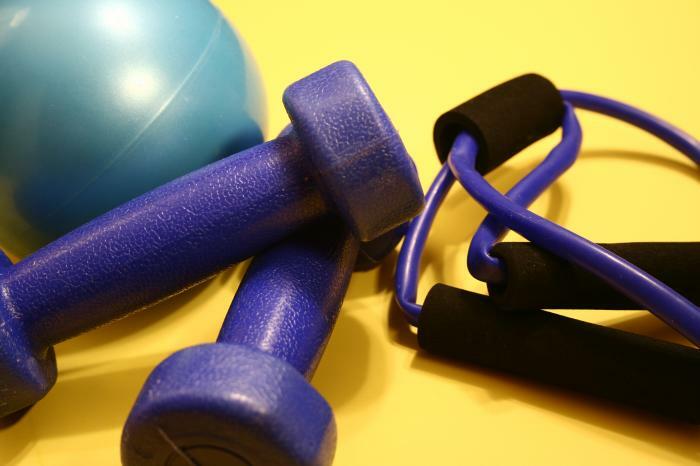 Exercise helps increase metabolism and builds muscle mass, helping to burn more calories. When your body reaches a healthy weight, overall wellness improves. 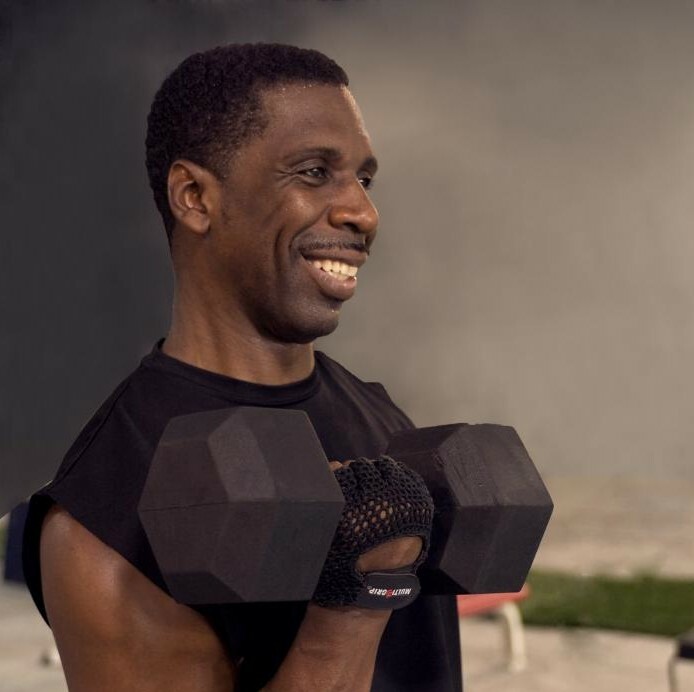 Among the many benefits of exercise for seniors include improved immune function, better heart health and blood pressure, better bone density, and better digestive functioning. 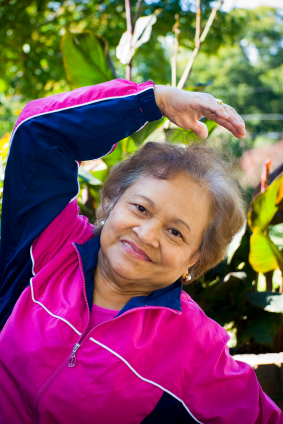 Adults 55+ who exercise also have a lowered risk of several chronic conditions including Alzheimer’s disease, diabetes, obesity, heart disease, osteoporosis, and colon cancer. Exercise improves your strength, flexibility and posture, which in turn will help with balance, coordination, and reducing the risk of falls. 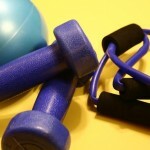 Strength training also helps alleviate the symptoms of chronic conditions such as arthritis. Poor sleep is not an automatic consequence of aging and quality sleep is important for your overall health. Exercise often improves sleep, helping you fall asleep more quickly and sleep more deeply. Endorphins produced by exercise can actually help you feel better and reduce feelings of sadness or depression. Being active and feeling strong naturally helps you feel more self-confident and sure of yourself. Exercise benefits regular brain functions and can help keep the brain active, which can prevent memory loss, cognitive decline, and dementia. Exercise may even help slow the progression of brain disorders such as Alzheimer’s disease. 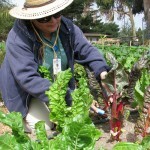 The Conejo Valley Guide offers a list of senior centers and programs throughout Ventura County. 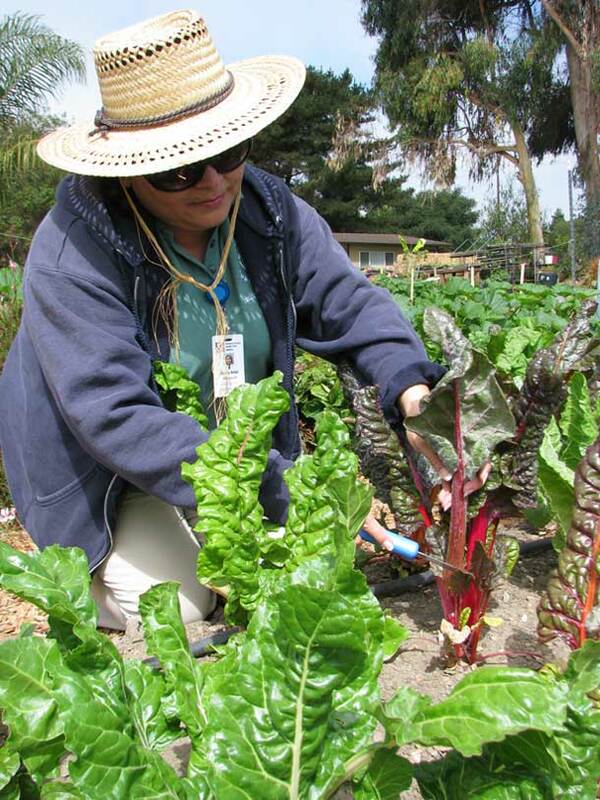 For more extensive information about serving the needs of seniors, visit the County of Ventura Area Agency on Aging and our Ventura County Parks and Recreation page for more ideas. What is it: Uses large muscle groups in rhythmic motions over a period of time. This type of exercise increases your body’s ability to deliver oxygen and nutrients to tissues and to remove waste over sustained periods of time. Cardio workouts get your heart pumping and you may even feel a little short of breath. 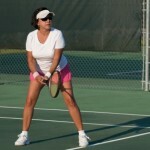 Why it’s good for adults 55+: Helps lessen fatigue and shortness of breath. Promotes independence by improving endurance for daily activities such as walking, house cleaning, and errands. 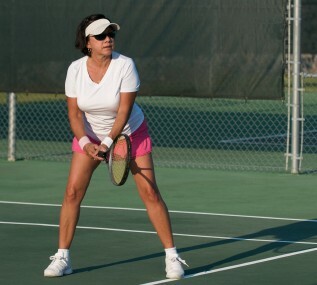 Cardio includes walking, stair climbing, swimming, hiking, cycling, rowing, tennis, and dancing. Do aerobic exercise 30 minutes a day, five days a week. This means increasing your heart rate. Even moderate-intensity exercise—such as brisk walking, light jogging, swimming, Pilates and yoga—is good. What is it: Builds up muscle with repetitive motion using weight or external resistance from body weight, machines, bicycle, free weights or elastic bands. 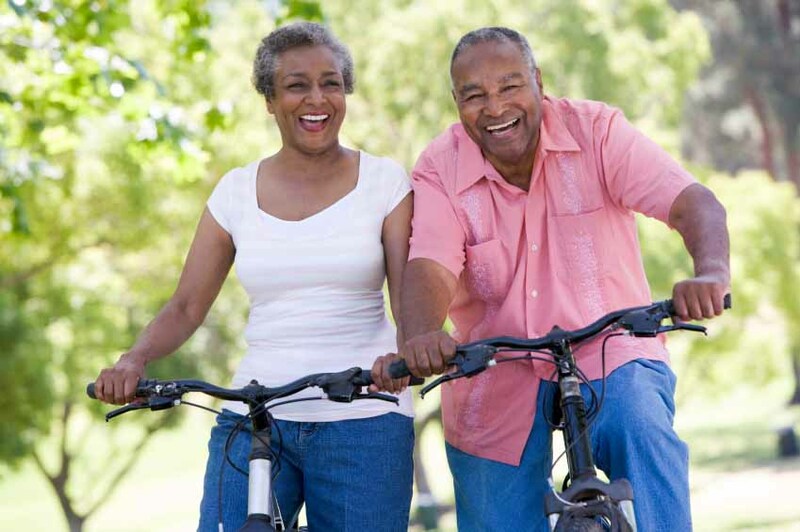 Why it’s good for seniors: Helps older people prevent loss of bone mass, builds muscle, and improves balance—both important in staying active and preventing risk of falling. Building up strength will help seniors stay independent and make day-to-day activities easier such as opening a jar, getting in and out of a car, and lifting objects. Twice a week, perform at least one strength-training set targeted to the body’s major muscle groups. One set equals eight to 10 separate exercises, each repeated 10 to 15 times. Start strength training slowly, lifting perhaps five pounds for five repetitions. Build up progressively to heavier weights and 10 to 15 repetitions. Look for Bone Builders classes throughout Ventura County. Camarillo Healthcare District offers free Bone Builders classes. What is it: Challenges the joint’s ability to move freely through a full range of motion. Can be done through static stretches (stationary), and ballistic stretches (moving or bouncing) to keep muscles and joints supple so they are less prone to injury. Why it’s good for seniors: Helps body stay limber and increases range of movement for ordinary physical activities such as looking behind you while driving, tying shoes, shampooing your hair, and playing with grandchildren. Ten minutes of stretching twice a week, with each stretch held for 10 to 30 seconds, is recommended. What is it: Maintains standing and stability under a variety of conditions including static (stationary) and dynamic (moving) balance. 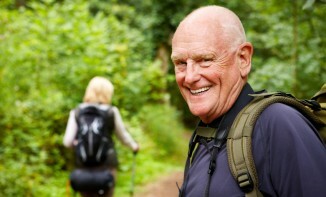 Why it’s good for seniors: Improves balance, posture, and quality of walking. Also reduces risk of falling and fear of falls. Try yoga, Tai Chi, and posture exercises to gain confidence with balance. 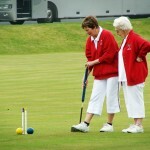 Senior sports or fitness classes. Keeps motivation alive while also providing a source of fun, stress relief, and a place to meet friends. Get moving with music and friends. Water aerobics and water sports. Working out in water is wonderful for seniors because water reduces stress and strain on the body’s joints. Yoga. Combines a series of poses with breathing. Moving through the poses works on strength, flexibility and balance. Yoga can be adapted to any level. Tai Chi and Qi Gong. Martial arts-inspired systems of movement that increase balance and strength. 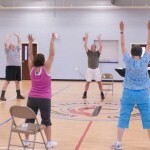 Classes for seniors are often available at your local YMCA or community center. Golf. Golf is an excellent sport for balance and endurance, particularly if you skip the cart! If you are chair-bound, movement matters even more, and fitness is entirely achievable. Chair-bound adults can reap the benefits of exercise with strength training, flexibility, and even some endurance movements. Like any exercise program, a chair-bound fitness routine takes a little creativity and personalization. Strength: Use free weights (otherwise known as “dumbbells”) to do repetitive sets of lifting. Don’t have weights? Use anything that is weighted and fits in your hand, like soup cans. Flexibility: By practicing mindful breathing and slowly stretching, bending, and twisting, you can limber up and improve your range of motion. Some of these exercises can also be done lying down. Endurance: Check out pool-therapy programs designed for wheelchair-bound seniors. Also, wheelchair-training machines make arm-bicycling and rowing possible. If you lack access to special machines or pools, repetitive movements (like rapid leg lifts or sitting pushups) work just as well to raise your heart rate. Being active doesn’t have to be limited to your workout times. There are plenty of ways to become more active as you go about your day. Active on the go: Always choose stairs over the elevator, park at the far end of the parking lot when arriving at appointments and meetings, walk down every isle of the grocery store while shopping, practice balancing skills while standing in line, do neck rolls while waiting at a stoplight. Active at home: Do a set of wall pushups while waiting for water to boil, vigorously vacuum, tend to the garden, sweep the sidewalk, rake leaves, lift weights while watching the news, try toe-raises while talking on the phone, do knee bends after sitting for a long period of time. Consider health concerns. Keep in mind how your ongoing health problems affect your workouts. For example, diabetics may need to adjust the timing of medication and meal plans when setting an exercise schedule. Above all, if something feels wrong, such as sharp pain or unusual shortness of breath, simply stop. You may need to scale back or try another activity. Start slow. If you haven’t been active in a while, it can be harmful to go “all out.” Instead, build up your exercise program little by little. Try spacing workouts in ten-minute increments twice a day. Or try just one class each week. Prevent crash-and-burn fatigue by warming up, cooling down, and keeping water handy. Recognize problems. Exercise should never hurt or make you feel lousy. Stop exercising immediately and call your doctor if you feel dizzy or short of breath, develop chest pain or pressure, break out in a cold sweat, or experience pain. Also stop if a joint is red, swollen, or tender to touch. Get medical clearance from your doctor before starting an exercise program if you have a preexisting condition. Ask if there are any activities you should avoid. The best thing about working out is that it gives you energy for more activities. When it becomes habit, you’ll never want to give it up.